The Centers for Medicare and Medicaid Services (CMS) awarded nine states grants to test quality measurement tools and demonstrate e-health in Medicaid community-based long-term services and supports (CB-LTSS). States could participate in one or more of the four demonstration components. 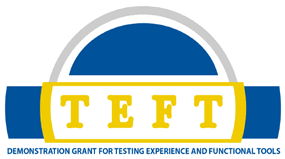 Kentucky participated in all four components of TEFT. The Cabinet for Health and Family Services, Department for Aging and Independent Living conducted round two testing of the Functional Assessment Standardized Items (FASI) component. DAIL will present the results of the field-testing conducted by the Northern Kentucky and Pennyrile Area Agencies on Aging and Independent Living.